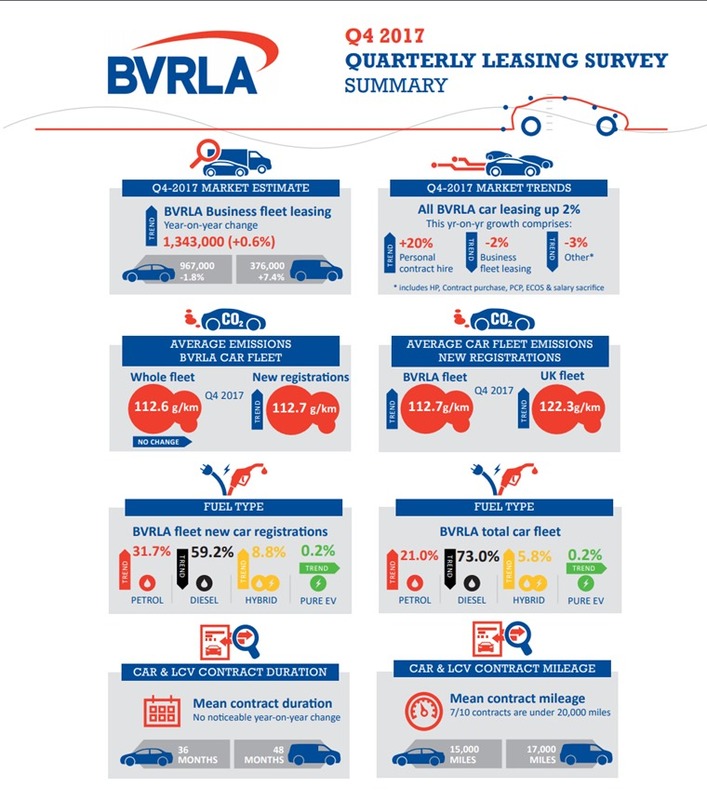 Personal car leasing continued to gain popularity in 2017, with personal contract hire (PCH) growing by 20% in the fourth quarter of 2017, according to the BVRLA’s latest Quarterly Leasing Survey. Whist PCH grew by 20% in Q4 2017, the growth rate has slowed since it peaked at 55% in Q2 2016. 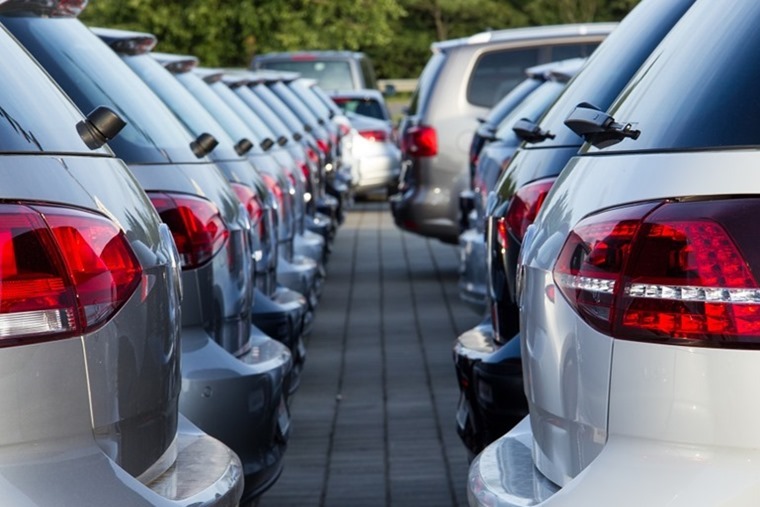 The survey revealed that the size of the total business leasing sector for cars and vans has also grown to 1.343 million, up 0.6% year-on-year. This means that total car leasing (all leasing types) grew by 2% year-on-year, down from 6% in Q3 2017 and down 12% year-on-year. The BVRLA new registrations average emissions figure is 112.7g/km, which is up by 1.8g/kg year-on-year. This has been put down to a drastic decline in diesel registrations (which produce less CO2 than petrol cars). The average fleet emissions of new registration cars coming onto the BVRLA fleet exceeded the average for the entire fleet in Q3 & Q4 2017. 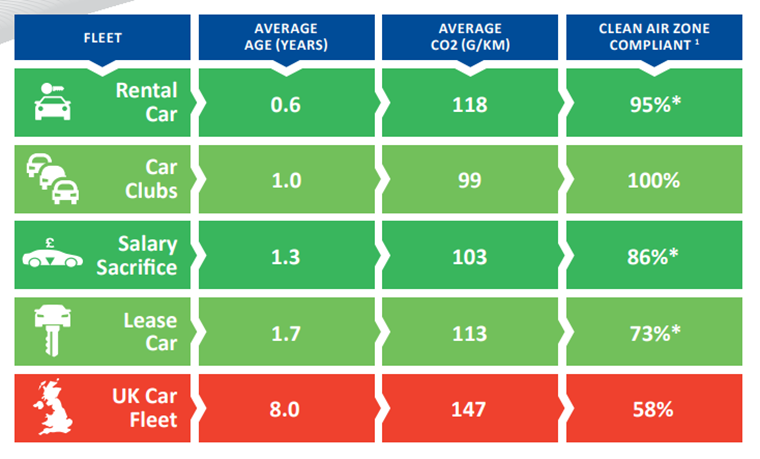 This is partly explained by an increase in the proportion of higher emission cars in the BVRLA fleet. A greater percentage of dual purpose cars, which have a higher average CO2, is also a contributory factor. BVRLA believes that adjustments to company car tax bands would help reverse the trend. The proportion of diesel cars on fleet also continued to decline, with just under three quarters of the BVRLA total fleet now diesel (73%) and under 60% of new registrations (59.2%). As a result, petrol is up from 29.7% in Q3 2017 to 31.7% in this quarter. Along these lines, new deliveries of electric vehicles increased this quarter from 6.9% to 9.0%.